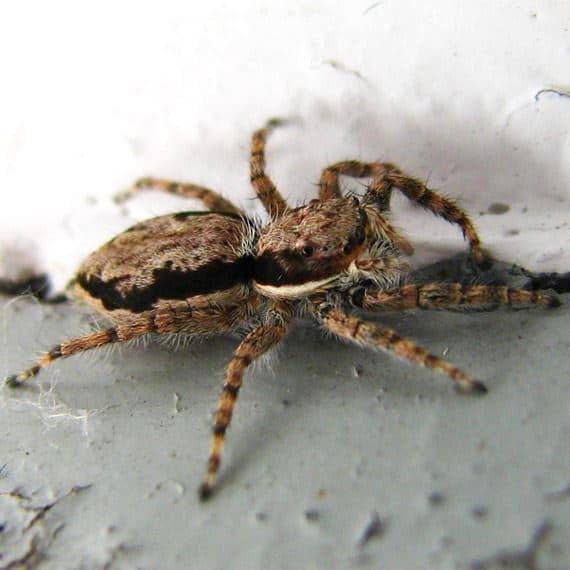 Spiders can be both deadly and very scary to find in your home. They're also not easy to get rid of since they can spin webs almost anywhere and some can even hide in the smallest holes around your house. Fortunately we're professionals at exterminating spiders and we can both find them and kill them quickly. With professional spider removal, you no longer have to worry about poisonous spiders biting you or one of your family members when you're sleeping or working in the yard. Removing spiders isn't a one time treatment but we have packages to quickly and effectively keep spiders in their place. Give us a call now and get 15% off your first service with Terminators Pest Control. Spiders are scary and many carry poisons that can be deadly to pets and humans. They also reproduce quickly and they can hide just about anywhere. Even if you kill the spider, they may have laid eggs somewhere around your home or property. That's why at Terminators, we use special treatment methods to kill spiders and their egg sacs. We also make sure to treat all the areas where spiders are likely to nest and lay eggs. With a Terminators professional, you can sleep well at night knowing the spiders have been exterminated and they won't be back anytime soon. A common female house spider can lay more than 1,600 eggs over the course of her lifetime which means the problem can rapidly become an infestation if it isn't taken care of quickly and professionally. We use special pesticides to kill spiders instantly as well as blends to create a barrier around your home. We also inspect your home for loose screens, cracked windows, large door gaps, and other entryways where spiders can enter. We'll advise on proper repairs, use special insecticides around these areas and may be able to fix smaller areas where they enter your home. Treating spiders requires thorough measures that involves multiple steps and treatments. It's not practical for most homeowners to take these steps so they buy a "bomb" and use them through the house and garage. This may work for reducing the number of spiders but almost never fully treats the infestation. If your goal is to fully exterminate the spiders and remove the infestation, professional spider extermination is the only way to go. Give us a call now for a free quote.